Announced on February 6th, 2017, along with the tour announcement, Muse will play at the Starlight Theatre in Kansas City, in Missouri. This is the first time since 2006 that the band played in Kansas City, Missouri. 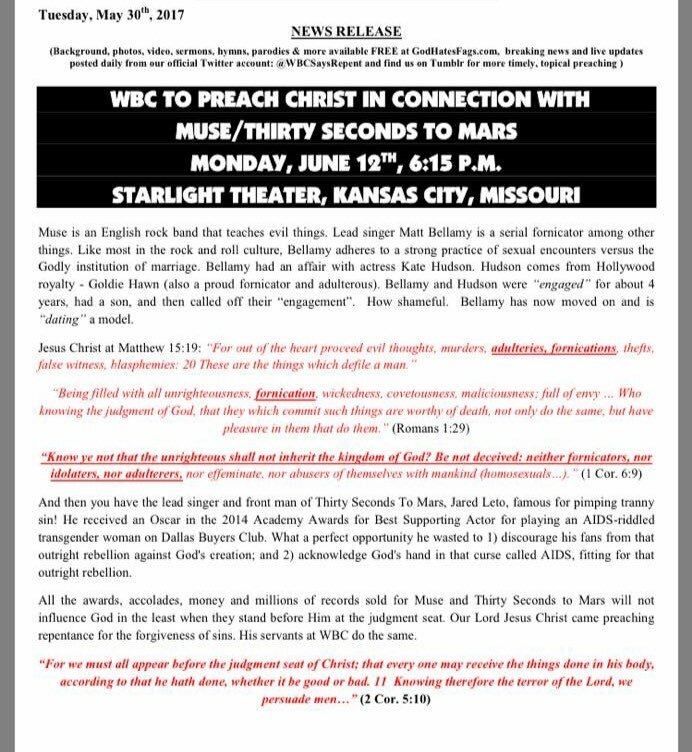 The Westboro Baptist Church were protesting this show, calling out Muse and Thirty Seconds to Mars. They were calling Matt a serial fornicator and saying that Muse is an English rock band that teaches evil things. You can see it the full news release by clicking here.